It's with a little hesitation that we deliver a Mirror's Edge 2 rumor to you this morning. I wanted to post this news simply because it implies two separate things: first, Mirror's Edge 2 might be coming, second, Stockholm, Sweden is apparently a wonderful dev community. I thought that last bit was simply interesting enough to discuss. The story springs up from an article that ran on the U.K.'s Xbox 360: The Official Xbox Magazine where EA Games Vice President Patrick Soderlund discusses DICE and their products. Essentially, the gist of the story comes down to the fact that not everyone at DICE is working on Battlefield things. Soderlund says that EA doesn't want to turn DICE, or any of their studios, into a one-game-making machine. That's where Ben Cousins, head of ngmoco and resident of Stockholm, Sweden, and his note concerning Mirror's Edge 2 comes in. In reference to the article on Xbox 360: The Official Xbox Magazine, as picked up by Eurogamer, Cousins indicated plainly that Mirror's Edge 2 is in the works. Of course, I could also say that Santa Claus living at the North Pole is general knowledge in most first grade communities. That doesn't necessarily make it true. Though, there is something to the idea that these developers are all working and talking together. If Stockholm has the sense of game creating community that I'm picking up on, it's entirely plausible that the common word is that Mirror's Edge 2 is being worked on. Mirror's Edge 2 has been something of a withering wisp ever since DICE moved on to Battlefield 3 as the primary focus. EA's got a money-making cash cow on their hands, and they've often said that Mirror's Edge 2, and games like it, are on the back burner. 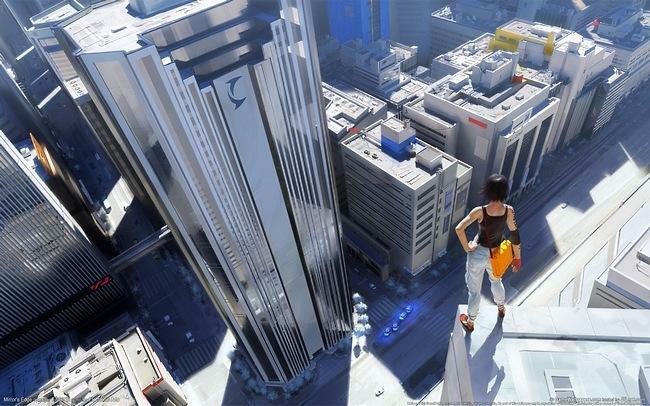 This rumor, while certainly far from proof, is an interesting one that holds a lot of promise for Mirror's Edge fans.